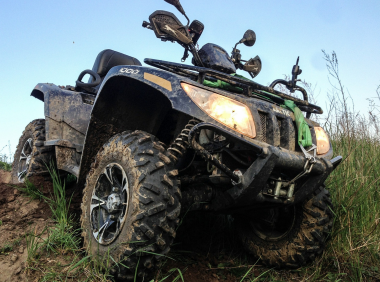 DUBOIS CO. -- Do you want your kids to have basic handling skills of an all-terrain vehicle (ATV)? Do you want them to know how to operate an ATV safely? Then join us for the ATV 101 Spark Club. Purdue Extension with Dubois County 4-H Program is hosting this event designed to better prepare our youth for handling all-terrain vehicles. This exciting opportunity will take place on Thursday, June 7th; Thursday, June 14th from 6:30-8:30pm and Saturday June 16th from 3-6 pm at Dubois County 4-H Fairgrounds. Participants are required to attend all three days. Participants will have the opportunity to operate an ATV in a controlled environment and learn skills to utilize when riding. The youth will learn controls, riding techniques and the proper way to manage different terrain. ATV 101 Spark Club will increase rider’s safety awareness and skills, and help identify rider’s abilities and ATV’s capabilities. Any youth in grades 3-12 is welcome to participate. The youth will need to provide their own ATV that fits them. No ATVs will be provided. The cost is FREE for current 4-H members and $15 for all non 4-H members. The registration fee helps to cover the 4-H program fee for participants. Limited space is available, so be sure to sign up as soon as possible. The deadline to register is June 4th .